I can’t help myself around foundations. I honestly have to stop myself from buying them all, mostly because I get so excited when brands have shades for WoC, sad I know but it’s so much of a big deal! 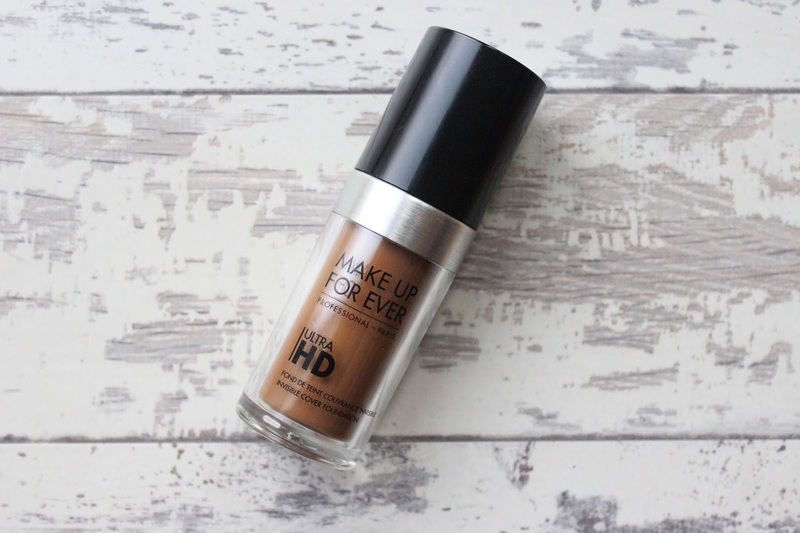 When I heard Make Up For Ever were reformulation their infamous HD foundation I had to grab one as I had seen so many people speak highly of the old formulation. The promise of the new foundation includes a wider range of shades focusing on undertones (R = red and Y = yellow) whilst offering a natural and invisible finish suitable for HD cameras. FYI I have not tried the original formulation so I’m unable to compare this foundation to their old offering. 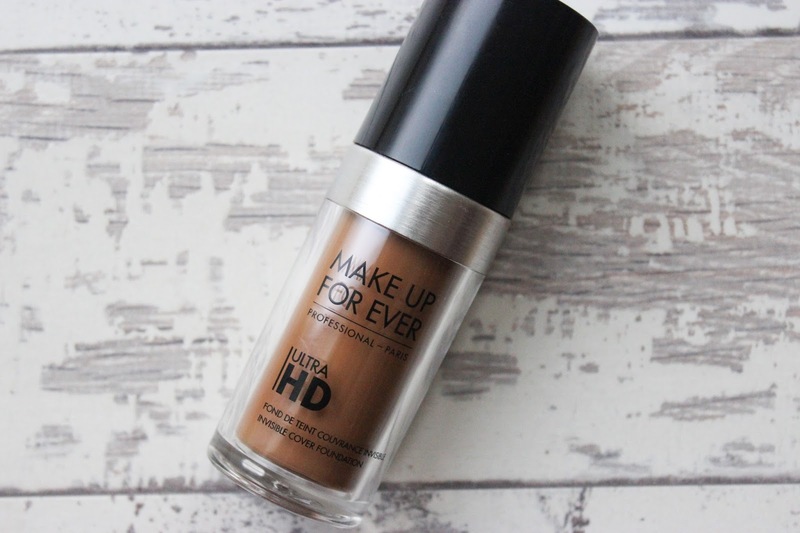 This is a water based foundation which makes it quite runny but helps to support it’s claim of a natural finish, this is a lightweight foundation and who doesn’t love a lightweight foundation? Seriously, who doesn’t? Show yourself! I did find during application that the runny-ness (for want of a better word) did have me experimenting on the best ways to apply this. A beauty blender for me was a no no, all it seemed to do was lift the foundation off as it is so lightweight. I found that this applies better with a brush, preferably a flat top brush to really help that product stay on the skin, then blend in as necessary with the same brush, yes it takes a little bit longer but it does work. 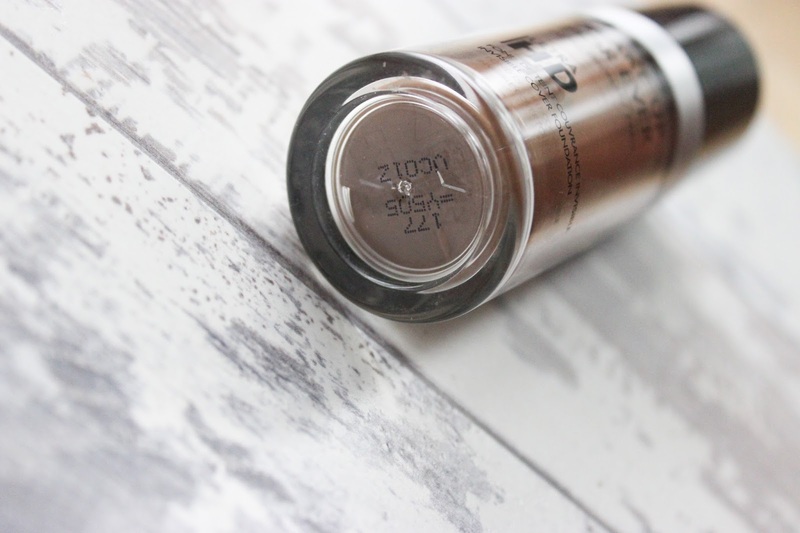 The finish for this foundation seems to be a natural finish (unhelpful I know) it’s not really matte but not dewy either, it doesn’t lean over to one side more. I find it just goes on a bit wet (sorry guys lol!) and then I proceed to blot a bit with my powder to get it to a matte finish. Coverage wise I would say medium, this definitely isn’t full coverage, I do need to go in and colour correct before I apply this, this is expected of water based foundation. If you’re looking for a water based foundation that offers full coverage perhaps try the NARS All Day Luminous Weightless Foundation. Another pro here is that the bottle includes a pump. I believe this comes as standard with all MUFE foundations but as I’m living in a world where your favorite full coverage foundation doesn’t come with a pump (looking at you Doublewear) this is something that needs to be appreciated. So far the new Ultra HD is ticking all the boxes, but there is one box it does not tick for me and this relates to it’s shade. Y505 is nowhere near a yellow undertone and I know yellow undertones. This shade has an overwhelmingly neutral undertone, at least when I apply it, this effectively means this looks grey on me when I apply it, not shockingly grey but grey enough for me to notice the difference between my face and my neck/chest as shown from the picture above, which was taken in front of a ring light so my face looks lighter than usual. I have to say, this doesn’t stop me from wearing it, I just mix in a little of my MUFE Chromatic Mix in Yellow to get those yellow undertones to come through. 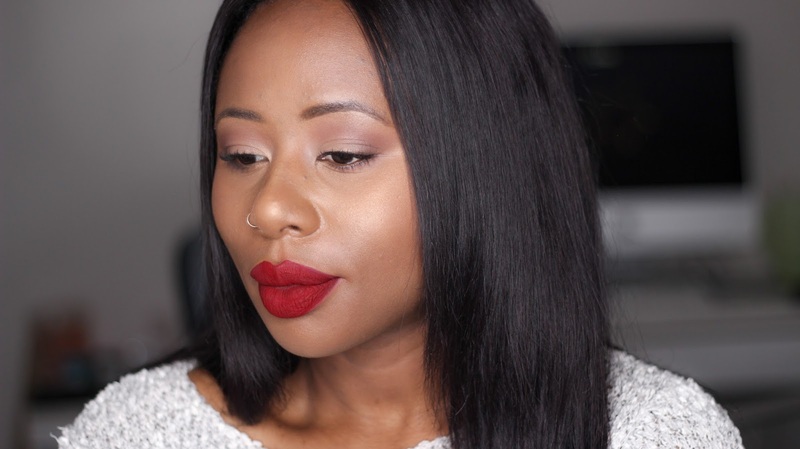 From what I figured Y505 would be the perfect shade but I have been told by beauts a similar skin tone to myself (see HERE for my foundation shades) that they wear R520. I think I may need to get myself to Debenhams for a colour match to a different shade. All in all this foundation is near perfect for everyday wear but this shade is lacking in any yellow undertone which isn’t helpful for those of us who need that. If you’re in the UK you can buy MUFE products from Debenhams, Guru Makeup Emporium and Precious About Makeup. I have Face and Body too, I feel like that is neutral as well but not as much as this, maybe because F&B is sheer coverage. When I have good skin I like to wear F&B, it has a gorgeously natural finish. I think I'm going to have to pull it out for summer because I need something more natural!